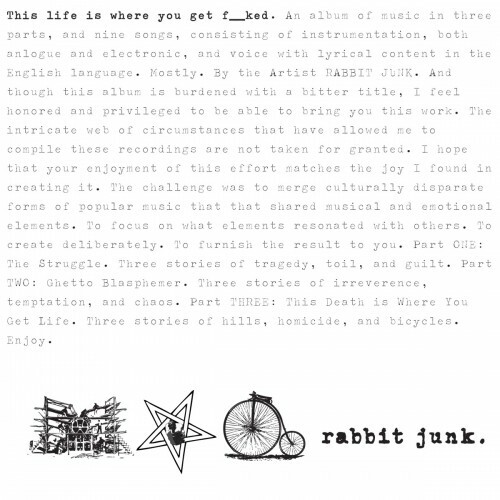 'This Life Is Where You Get Fucked' is where Rabbit Junk really flexes it's muscles. Again, with JP Anderson at the helm, he takes this album to a particular kind of hell then back. An outstanding offering from the kings of 'hard clash'.